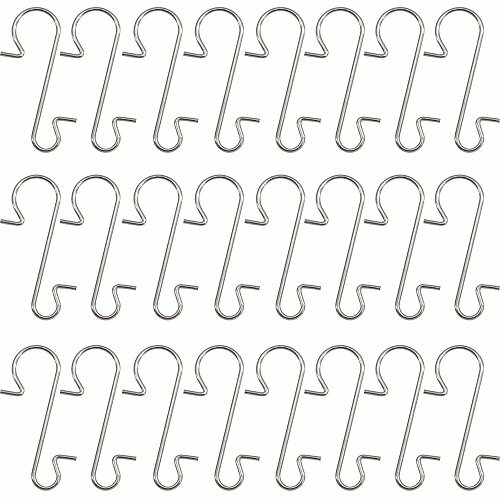 Supla 150 Pcs Stainless steel Ornament Hooks Christmas Ornament Hangers S Hooks Christmas Tree Hanger by Supla at Two Clock. MPN: unknown. Hurry! Limited time offer. Offer valid only while supplies last. Quantity:There are 150 Pcs Ornament Hooks in the package. Size:1.2 inch Tall x 0.4 inch diameter. These are great for displaying your ornaments for all holidays. If you have any questions about this product by Supla, contact us by completing and submitting the form below. If you are looking for a specif part number, please include it with your message.